Since its earliest days, the construction industry has been thought of as a male-dominated field, and even today, the number of women in construction and contracting professions represent a stark minority. That number, however, is growing by leaps and bounds, and this trend might be the best possible thing for the industry. More and more women are stepping up, not just to join the workforce as construction professionals, but starting their own companies. Whether it’s to start a home remodeling business or to create a full ground-up construction company, women contractors are making their mark and showing the way forward for an industry that is evolving at lighting speed. Let’s take some time to review what the surge of women in the construction and contracting industry means, and why it might be a great thing to revitalize the sector across the board. According to the National Association of Women in Construction (NAWIC), women currently comprise only about 9.9 percent of the total number of people in the construction field, and that includes those who work jobs behind the desk — the number of women in the field, on the front lines, is roughly 1 percent of all construction workers. These numbers are staggering when one considers that women make up 47 percent of the entire workforce. That means that the construction industry is still astoundingly skewed. Certainly gender bias is a large part of this gap, ingrained over hundreds — if not thousands — of years. A lack of adequate training, often brought on by perceptions of the traditionally male-dominated industry, keeps many women away from the field. Even still, women continue to grow their numbers in the industry, with almost 33 percent of companies promoting women to senior positions in 2018. While the glass ceiling has yet to be shattered in the construction industry, 13.3 percent of the women working in construction are tradespeople, and of those promoted to senior roles, 31 percent are in management, 21 percent are in construction and maintenance, and 1.5 percent are in service positions. Forty-four of the top 100 construction companies see women holding executive positions, with 16 percent having women occupy chief-level positions. Three of these top 100 companies have women CEOs. Even more surprising is that a measurable 13 percent of all construction firms are owned by women. This represents a 94-percent growth since 2007, and moreover, a full 9 percent of female-owned firms pull down more than $500,000 in revenue. Still, it’s a new trend, with the average time held by women as construction managers being less than six years, and average time as C-level executives being seven years. In management, 38 percent have been managers for less than a year, and of those in C-level positions, 53 percent have held the role for under a year. Since the early 2000s, there has been a strong movement to introduce more young girls into STEM (Science, Technology, Engineering and Math) fields, and this movement has directly contributed to the increase in women in these fields, including the contracting and construction industry. STEM education creates problem-solvers by encouraging and instructing students in analytical and critical thinking skills. It improves opportunities for advancement by providing advanced knowledge and training that put those with a STEM education ahead of their competition. Overall, it helps to build the future, with many new construction projects being expressly STEM-based. The world is becoming more tech-focused every single day, and the increasing number of girls in STEM Programs at the elementary and high school levels will lead to more college and advanced degrees and to more young women with a passion for engineering and hands-on construction jobs. These programs are a sign of things to come, a world where women will become an ever-growing part of the science, engineering and technology communities, bringing unique voices, perspectives and experiences to the table. Even still, women are facing specific difficulties and obstacles they must overcome every day to compete and change hearts and minds in the well-ensconced male-dominated world of construction. Part of what has driven so many women to enter the construction field over the past decade-plus was the 2009 economic stimulus package signed by President Obama. This package carried a wealth of increased opportunities for female-owned construction companies. Of course, these increased opportunities just meant in terms of available projects to bid — it didn’t guarantee winning the bids. One of the biggest hurdles still faced by women-owned companies today is that the federal government continues to offer the lion’s share of its contracts to male-owned companies. This is despite the fact that, since 1994, Congress has required the federal government to award a minimum of 5 percent of all government contracts to women-owned businesses. Despite widespread anti-discrimination laws and contract fulfillment quotas, the government still fails to award contracts to female-owned companies, though local governments continue to encourage women-owned businesses to bid for contracts. A great deal of work remains to be done to level the playing field, according to the Women Construction Owners and Executives. Other obstacles faced by women-owned companies include the ongoing pay gap, issues with advancement, a higher risk of injury and other issues related to discrimination. Forty-three percent of companies don’t actively monitor pay gaps, and 73 percent of women report having been passed over for roles due to gender. Injury risks are higher due to equipment not fitted for women, and across the industry, women cite a lack of role models and being excluded from company social events. Women often are forced to prove themselves in a world dominated by men, and that means taking advantage of all of the resources they possibly can to get ahead. While frustrating roadblocks for female-owned businesses still exist at the federal level, local governments are taking steps to encourage women in construction. This is partially because local governments at the state, county and city levels are more concerned about lawsuits for discrimination than the federal government. It’s also because these governments have established initiatives requiring a higher percentage of construction work be awarded to women in construction. Many of these initiatives require officials to actively seek out bids from women in business. Many women aren’t aware that you’ll need to register your business in the Central Contractor Registry in order to be eligible for federal contracts. The registry is run by the Small Business Administration and comprises a massive list of companies looking to do business with the federal government. In order to bid on government contracts, you have to be registered in this database. It’s also a good idea to get certified as a small business. This certification provides a formal acknowledgement that you’re qualified as an underrepresented person in the industry. Becoming certified as a woman-owned business will give you more opportunities to bid on government projects, including opportunities that are exclusive to women-owned businesses. In general, getting certified is not an easy process; it requires you to apply and be approved, and not all businesses qualify. If you do get certified, however, this vastly increases your credibility in the industry in a very unique way. If you are a woman who is a first-time bidder, federal law allows you to certify yourself if you meet the right conditions. Your company must be independently owned and operated, it must be a for-profit enterprise and it must not be a dominant company in the field. You must also meet SBA standards for the industry, including number of employees and income, to qualify as a small business. It’s important to note that as soon as you procure an award, your self-certification can be challenged. In this case, you will need to provide proof of your status, and you will likely be required to pursue formal certification. Beyond that, contracting officers have a high degree of discretion concerning the awarding, accepting and approaching of contracts. This means that your self-certified business may be overlooked. For all these reasons, it’s a good idea to become formally certified anyway, so as not to risk losing an award you have been granted. Fortunately for women-owned construction companies, there are a growing number of resources of which you can take advantage to increase your competitive edge, address your unique needs and grow your company. Among those resources is found a range of women-focused groups, including the already-mentioned NAWIC and WCOE. Another is Women in Operations, an organization formed in 2013 and geared toward mentoring women in the operations end of construction companies. 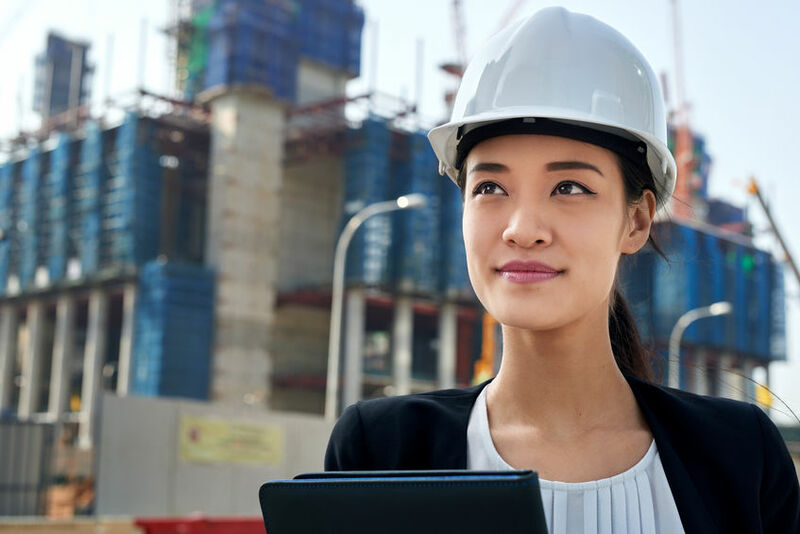 Professional Women in Construction is an organization dedicated to the support and advancement of women in the AEC (architecture, engineering and construction) and other related industries and connecting them to resources, while promoting diversity. Many of these organizations host or sponsor conference,s such as the Groundbreaking Women in Construction conference. Many large companies are beginning to collaborate with local communities to create boot camp programs and training courses for young girls and women interested in entering construction. Apprenticeship programs are seeking to actively recruit women to prepare them physically and mentally for the rigors of construction work. Of course, it’s also essential that you keep up with your education and knowledge in the industry. Stay abreast of the latest trade journals and blogs, particularly those that target women, such as Tradeswoman and Constructing Equality. Don’t restrict yourself to women-owned-business publications and resources, however. You are, first, and foremost, a construction and contracting company, and you’ll need to be on top of the latest ongoing trends in the industry. Pay attention to the top industry journals and publications. Be sure to attend the most well-respected building and construction trade shows and conferences, like the AIA Conference, Pacific Coast Builders Conference and International Builders’ Show, to represent your business, show off what you have to offer and network with other top contractors to make essential contacts that can take you far in the industry. 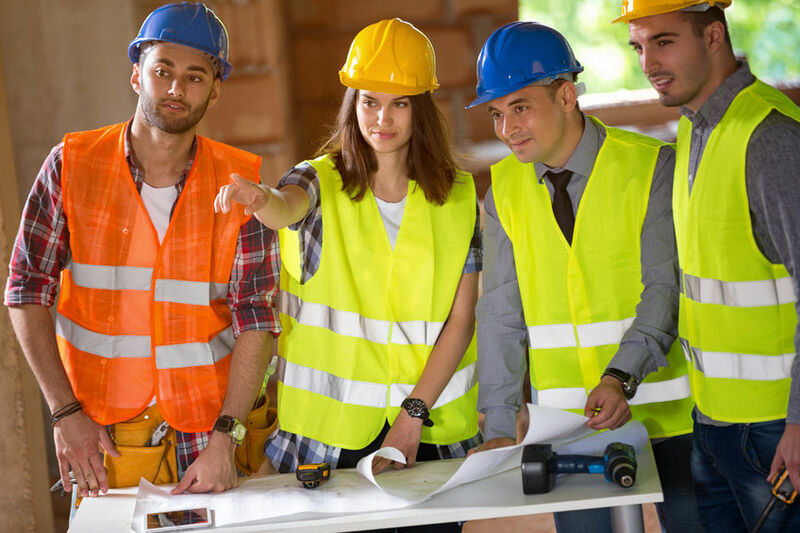 Another important part of running a construction business as a woman is understanding the vital role that surety bonding plays in bidding on construction projects. The federal government requires you to abide by Miller Act statutes that state you must carry performance and payment bonds equal to the amount of any contract you take out. Each state has its own version of this act, known as a Little Miller Act. While the totals involved might differ, the core idea is the same. It’s astounding how many small construction companies — both male-owned and women-owned businesses alike — don’t understand how important it is to get bonded. It can be a shock when you attempt to bid on a contract and you discover you don’t have the bonds you need. Surety bonds are sort of like a form of insurance for your client. They provide assurance and risk management, a promise to the contract holder that you will not only complete the job you agreed to complete, but that you’ll be able to pay your subcontractors and materials services providers. There are other forms of bond as well, which you may need to consider. Janitorial bonds, bid bonds and other kinds of bonds all combine to provide a level of assurance and credibility that will allow you to compete and grow your business. For small businesses, even those recently certified, there is an SBA surety bonding program that exists to provide you the means to compete with larger companies in government contracts. This program will allow you to bid on projects valued at up to $6.5 million, and it’s very easy to put in your application with the right resources. The demand for skilled tradespeople continues to grow, with most companies stating that even though a slowdown is expected, they are looking to expand their workforce. In fact, by the year 2026, the construction industry is expected to see an employment growth of a full 12 percent, according to the Bureau of Labor Statistics. There is currently a shortage of both skilled and unskilled workers in the industry, and jobs offer salaries that averaged $38,890 in 2017, with construction managers earning upwards of $101,000. Taken together, this has translated into a conscious effort to recruit women and build a more diverse workforce. It can be not just a lucrative career path for a woman to enter, with high average salaries for union workers and hundreds of opportunities across the nation, but an ideal path to fulfillment and satisfaction. Even still, there’s a long way to go before any sort of balance between men and women in the industry is realized. The industry needs far more than the Women in Construction Week or International Women’s Day each March. It needs a core change, and that change can only be seen by women actively pursuing careers in construction and contracting. The numbers cited earlier aren’t restricted to the United States, either. In Canada, only 11 percent of women are under new apprenticeship training . In Australia, only 12 percent of the construction workforce are women, and they leave the trade at a 39-percent faster rate than men. In the U.K., women make up just 12.4 percent of the construction industry. There is a desperate need for more women to enter the industry and to take up leadership positions. While the numbers are still strikingly low, they are on the rise. School programs advocating girls in STEM careers provide a strong foundation for the future of women in construction, and more companies across the nation and all over the world are learning the value of a diverse workforce. In fact, a recent study has indicated that companies with high levels of diversity are over a third more likely to outperform competitors lacking such diversity. National Surety Services Inc. is dedicated to the building of a more diverse workforce and actively supports female-owned companies in the construction industry. Our surety bonding services are available to everyone, and we are here to become an active business partner in helping you to build a successful enterprise. We understand that our success is directly tied to yours, and we take note of the individual and unique needs of every one of our clients. 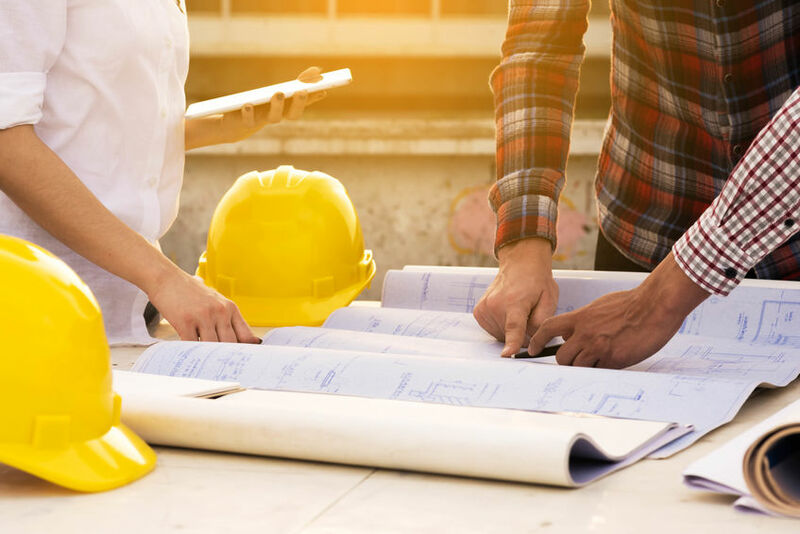 In today’s market, all contracting companies — and female-owned companies specifically — must understand that you need a service-oriented surety agent that is results-driven and understands the complexities of how surety bonds work. We bring over 25 years of experience to the table working in the surety industry, along with extensive business and banking backgrounds. We offer lightning-fast turnaround, a simple application process and a wealth of resources to help you determine the bonds you need and secure the funding to take your company to the next level of success. We build long-term relationships with our clients, and our rates are among the most competitive across the industry. 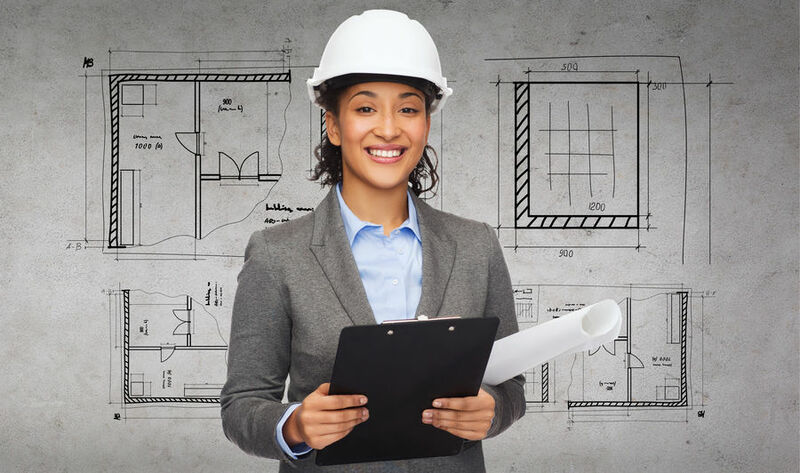 If you are a woman looking to build your home remodeling, home renovation, or women-owned construction business, NSSI is here to help you grow and excel. Read more about who we are and what we do, and reach out to get in touch with us for more information and to get started on your application today.